At Soko post-Tribal, Ryan is immediately confronted by Ali about his surprise vote. Ali’s entire argument comes from a place of honest confusion with her supposed alliance member, but Ryan is purely analytical in his assessment that now she’s potentially an enemy, and must be taken care of. Cold. Entertaining, but cold. After JP essentially wins a pizza reward challenge for his team, he seems very certain that means that his tribe won’t get rid of them because they need him in order to win. Famous last words, JP. Or, considering how often we’ve seen JP do confessionals this season, maybe famous first words? Levu’s tribe dynamics might be the most interesting right now, because it’s basically Joe and Desi versus Ashley and Devon. Who flips in that scenario? Ashley’s plan is to try to get Desi to flip on Joe. And Joe? His plan is to find another idol, which he does. Meanwhile at Yawa, Cole is hungry and everyone hates him. Not because he’s hungry, but because he’s annoying about his hunger (and also everything else). Cole’s hunger manifests in a truly physical way when he passes out face first on the ground. If there’s any bit of luck for him, it’s that he does it in front of two tribe mates with a medical background who immediately know what to do. Scary stuff. The most amusing thing about Cole’s low blood sugar episode is that Ben and Mike immediately use it as the “justifiable” excuse they need to get rid of him. This is a fun game, and I am not saying that with sarcasm. The immunity challenge is a good change of pace: A group balancing challenge, instead of an individual one! It’s an interesting mix of strategy and testing teamwork, and the moment where Cole almost loses the whole thing for Yawa before they change strategies and win the whole thing is a lot of fun to watch. Ryan doing an about face and getting back on Ali’s good side so he can get her on his side to vote out JP is very satisfying to watch, as is watching Ali attempt to make some strategic moves by approaching Chrissy. Ryan never seems totally on board however, and he’s the only person in a truly sweet spot because everyone always seems to want to work with him. A good sign for his game going forward. 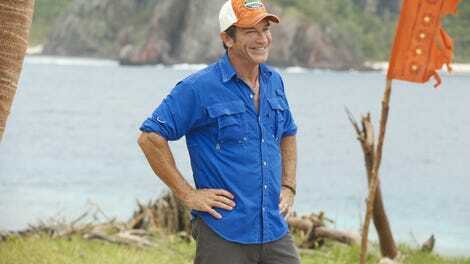 The entire Tribal seems unreasonably stacked against JP, so that’s the clear sign that he’s staying. And stay he does, as they send Ali home 3-1. Interesting. It’s difficult to see how JP wins this whole game considering how little we’ve seen of him this season, but he will win individual immunity challenges. Did Ryan and Chrissy make the right choice?